Use the BigCommerce Amazon integration to drive revenue. 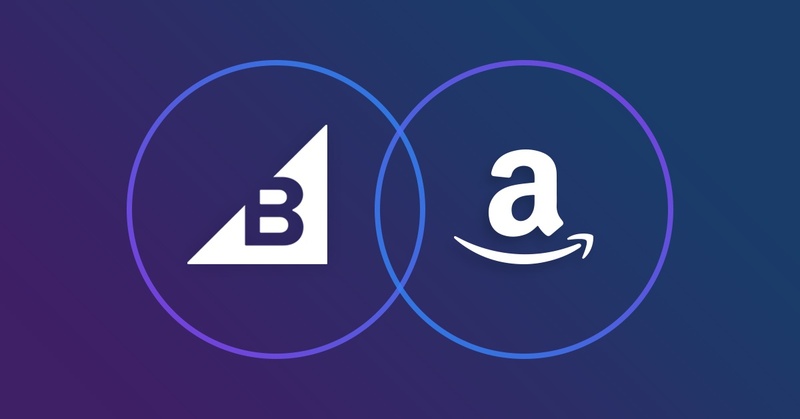 Learn how to create an omni-channel ecosystem with your existing BigCommerce store and manage your product inventory with ease using the native Amazon BigCommerce integration. According to TechCrunch, Amazon sales make up 49.1% of all eCommerce sales and 5% of all retail sales within the United States. On top of that, 10 companies dominate 71% of the eCommerce space, based on sales. If you are looking to add another layer of revenue to your online store, we highly suggest adding Amazon into your omni-channel strategy. As a BigCommerce Partner Agency and full-service eCommerce agency, we've helped multiple clients navigate omni-channel selling. If you’re a BigCommerce customer, selling on Amazon is now significantly easier with the native BigCommerce Amazon Integration. 2. Easily install the integration on your BigCommerce Store. With the BigCommerce Amazon Integration, you can customize how your products update on Amazon. Generally, we recommend smaller sellers choose to have BigCommerce as the master of truth. In this scenario, the integration will send over all product information from BigCommerce directly to Amazon on a daily basis. If you are a larger retailer, or already on Amazon, you can upload a custom catalog to Amazon and have the BigCommerce Amazon Integration sync only the price and quantity for more control over your listings. Because Amazon has such a large market-share in the eCommerce space, they naturally have their own seller requirements. One of the major factors Amazon takes into account to keep your account active as a seller is the Pre-Fulfillment Cancel Rate. Amazon requires a Pre-Fulfillment Cancel Rate of 2.5% or lower. If you do not meet this requirement, Amazon may choose to freeze your account, hold your funds from sales on Amazon, or, even worse, ban you from selling on Amazon. If you are a seller on Amazon, it's very important to make sure your inventory is correct so you can continue to sell and receive revenue from Amazon. If your incorrect inventory causes you to cancel an order, Amazon will take notice. It is very important to fix your inventory issues immediately so no other orders have the same issue. With the BigCommerce Amazon integration, inventory management on Amazon is simple. You don’t need to worry about inventory issues because it auto-syncs to Amazon. When an order is placed in Amazon or BigCommerce that depletes the item’s inventory, the integration syncs this information with BigCommerce and Amazon. Inventory syncs are now one last thing you need to worry about. The Amazon BigCommerce Integration takes only minutes to integrate with any BigCommerce store. Simply go to the Channel Manager (yourstore.com/manage/channels) and select “Get Started!” under Amazon. Click “Get Started” to begin the Amazon integration. The process takes only minutes to setup and get your products up on Amazon. With BigCommerce’s Amazon Integration, a few minutes of your time could lead to a few million of your revenue. That said, we always recommend a thorough technical audit to recommend technologies and integrations that meet your specific business needs. If you'd like to learn more about the integration or ways to customize it for your business, feel free to reach out through the form below. We're happy to chat about your omni-channel and evaluate the technologies and integrations you need or provide a complimentary website assessment.